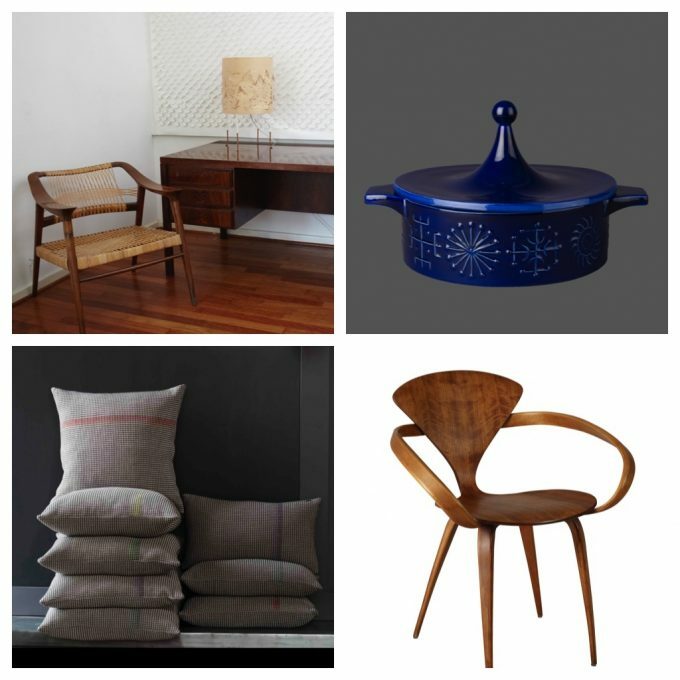 We are back at Midcentury Modern® on March 10 2019 with some exciting new names in both vintage and modern design as well as our fabulous regulars. 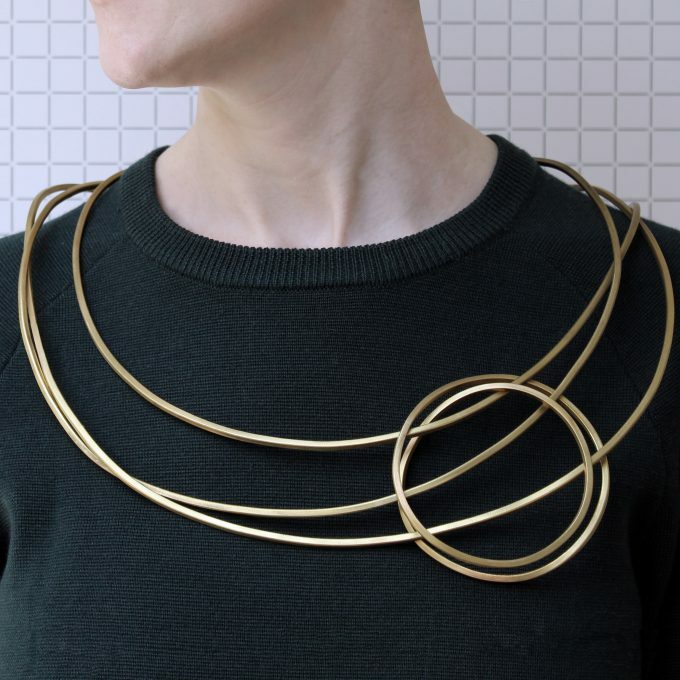 Make a day of it with friends and get discounted tickets to this show that’s hosts 60 plus dealers and 25 designers. With plenty of parking and vintage van refreshments on site and the beautiful environs of Dulwich Village and the Dulwich Picture gallery to explore too Midcentury Modern® is, as one customer was heard saying, “more of a destination than a fair”. 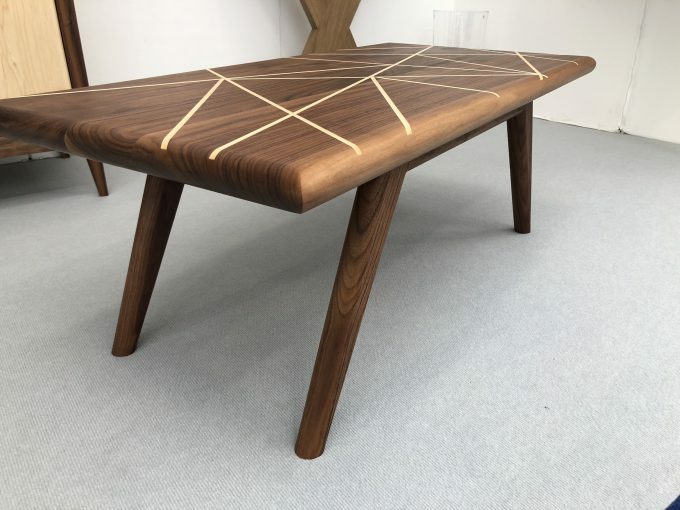 We are looking forward to meeting new furniture designers Eckford Chong and are hankering after the design team at Workshop’s No 8 coffee table (above and below). 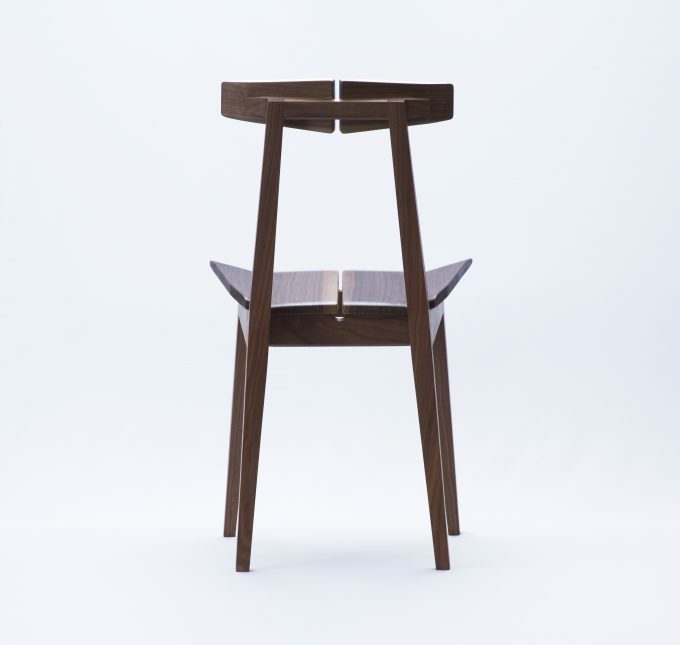 Design Bros are back with consistently superb craftsmanship. We feel so lucky to host this brand. 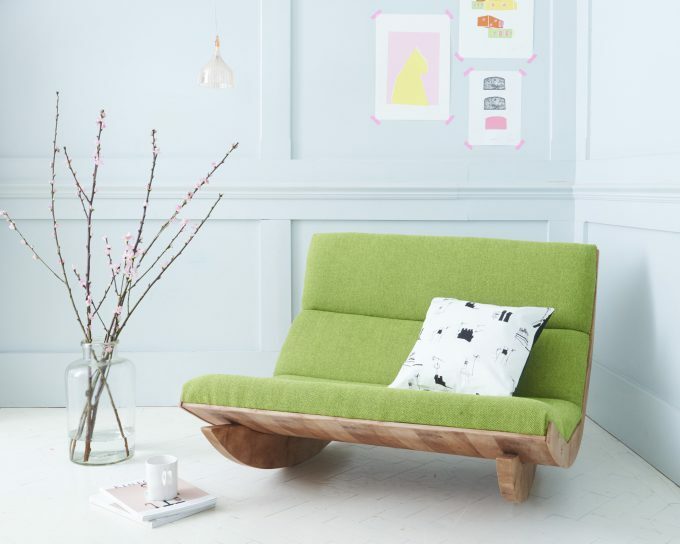 Baines and Fricker will be bringing some outstanding pieces in Spring fresh colours like the rocker below. 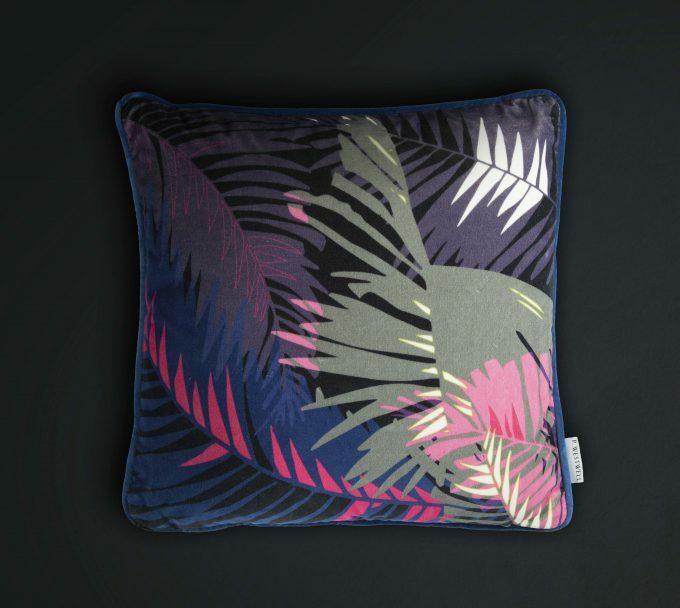 Textile designer P.Westwell (aka Poppy Westwell) has limited edition prints, fabrics and cushions that usher hotter climates into our homes. 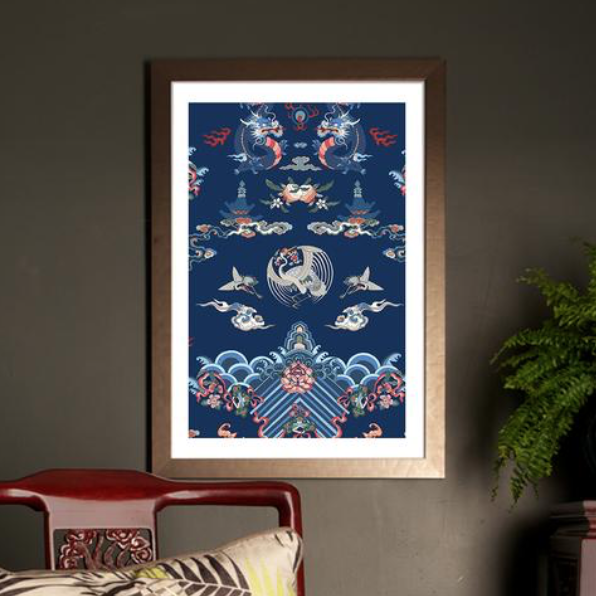 Brought up in Malaysia, with its convergent ‘trade route’ Chinese, Thai, Japanese, Malay, Portugese and British culture inspired her imagination to bloom. Draped in serpents at snake temples she attended consulate parties and raced on paper trails through jungles and rubber plantations’ where her love for the country’s flora and fauna formed. 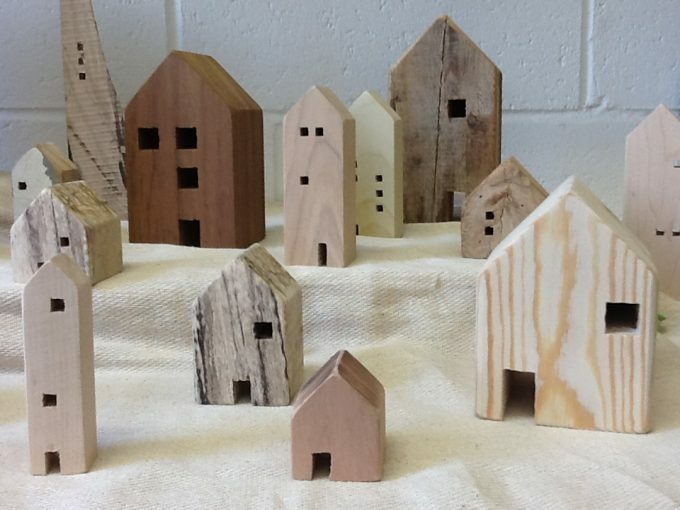 We have our eye on Mark Thurgood’s beautiful handmade ‘souvenir’ wooden houses which will be a stand out feature soon in some of the stagings we do for The Modern House and their newest developments. Placed in little groups between ceramics these look fabulous dotted around favourite shelves and sills. 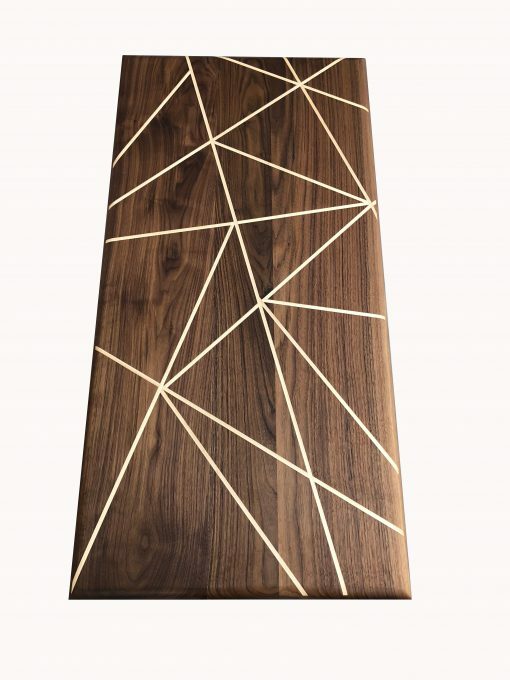 We also love his stunning coffee table with a slice of copper cutting through it. When Susannah Weiland approached the team to do the show we had to say yes immediately. 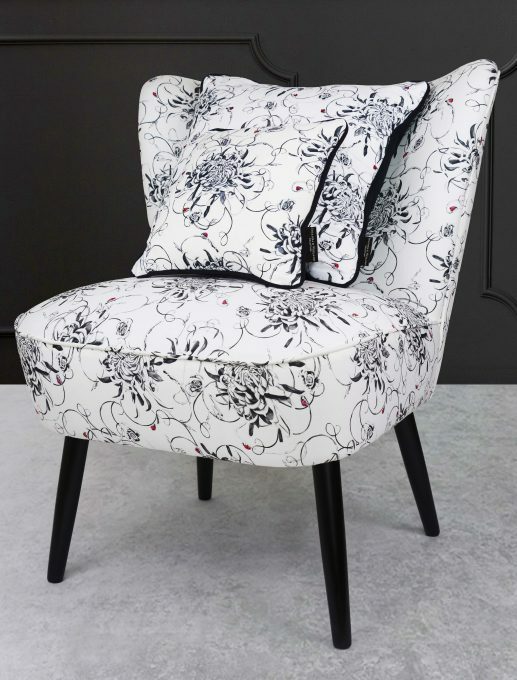 Her entangled chrysanthemum chair and hummingbird cushion would bring a touch of magic to any home. Just one look at them suggests a woman who really knows her stuff. 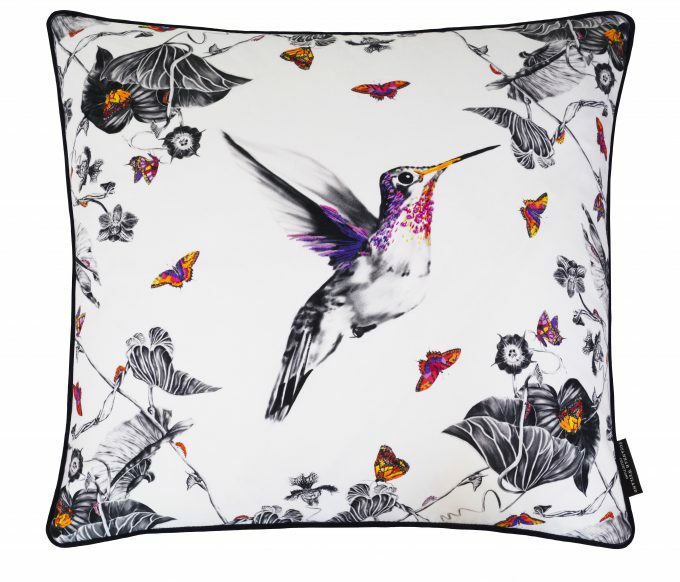 From selling textiles to Donna Karan, Anthropologie and Nordstrom to sketching at Kew, Weiland moved from fashion to interiors seamlessly with wallpaper, cushions and chairs proving popular with decor fans. Glad to have the amazing Poppy Norton back for another show. 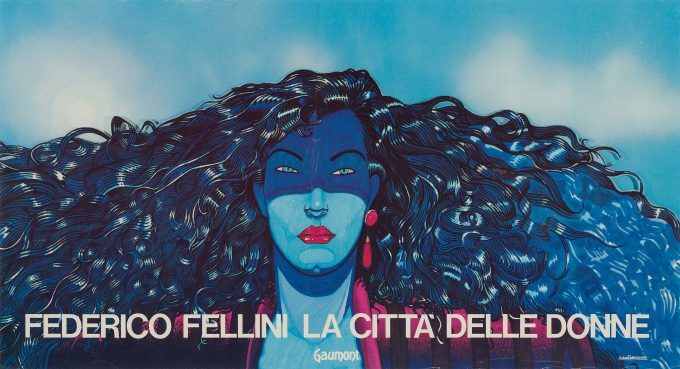 Look for her next to domestic ceramic supremos People Will Always Need Plates on the mezzanine overhanging the great hall with her jewellery creatives can’t get enough of. In our light filled wooden hall with its famous acoustic wall you will still find the best of the best midcentury dealers from all around Europe selling everything from mid-century chairs and sideboards from Scandinavia, Europe, Eastern Europe, America and South America to original Berber rugs as used by Aalto and Eames and posters from all your favourite Oscar winning movies. Put some love into your home office with Danish and British teak, walnut and oak shelving systems from Ole Wanscher and Paul Cadovius. 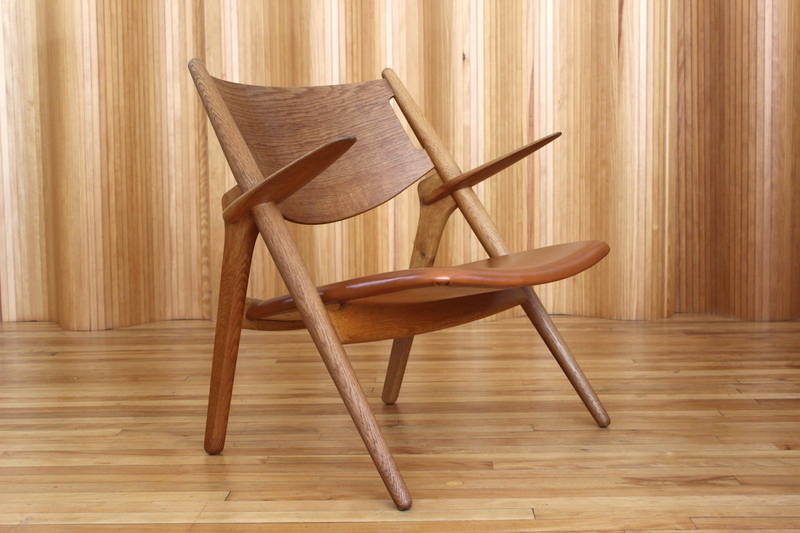 Enjoy the years of comfort that can be had from a Hans Wegner Papa Bear chair. Midcentury Modern® has everything from museum pieces for the ardent collector from the design icons of the twentieth century to everyday pieces you can live with and love without adding to landfill. We pride ourselves on the way our dealers do their bit to save the environment one day at a time. You don’t get much more eco-conscious than heritage products that have been passed down from one generation to another, furniture, ceramics, glass, lighting and art with history and purpose. Stunning interiors products that were not designed to fail you but rather live on through your children. We also do a 2 – 4pm online deal that is £10 for 2 tickets so you can introduce new friends to the show but it must be bought online before the day of the show. Vintage van refreshments and free parking for 300 cars available. WEST DULWICH station (10 mins from Victoria) 3 bus from Brixton to West Dulwich. Uber £6 from Brixton.